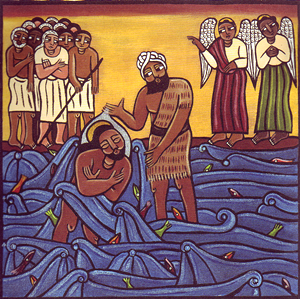 Early Matthew’s gospel, Jesus takes the plunge and joins others who are being baptised by John in the River Jordan. Unlike others though, as Jesus emerges from the river something very special happens. If you’d like to know what, then you’d better come along on Sunday to find out. Suffice it to say though, somebody was well pleased.